Let me start by saying a little about where I grew up. My life started in Gramercy, LA. This little town is located about half way between New Orleans and Baton Rouge along the Mississippi River. I grew up in a very loving Catholic home with my wonderful parents. My dad was an electrician by trade and bookie by night. My mother was a wonderful house wife that tended to all of our needs including trying to keep my behind out of trouble. I have 2 older brothers and 1 younger sister. We were very, very close. I can remember times of growing up and my daddy sitting us down on the sofa at night to teach us how to jitterbug along with taking lessons from my mother also, but one thing my daddy also taught us was how unconditional love from a man was suppose to be and I have to thank him for that. When I was 11years old, my mother came down with Lupus. This disease not only affected her in a drastic way but it also affected all my siblings. You see she was in and out of hospitals month to month for the first couple of years. It was a big change for my brothers and I because for someone who always took care of us now we needed to take care of her. She needed care in such things in us helping her clean, cook, even caring the clothes basket approx. 25 feet to the washer. Now as all of this was taking place, I can remember having to take care of my little sister, as far as curling her hair to go to school, making sure she had breakfast, and tending to her when we got home from school. I know now how great of mother and father we had because my daddy would work two jobs to provide more for us than ever, while my mother fought with depression and a deformation of all of her joints secondary to the rheumatoid arthritis she was encountering. Well eventually, my mother’s condition started to improve because of all of the family support she had and how she took care of herself. She always worried about everyone else’s needs before her own pain and suffering. About at that time is when I can say that my unwilling participation in sexual abuse started. One day when I was down the street playing I was confronted by a neighborhood older boy that proceeded to touching me and fondling me in a way that confused me. This wasn’t right I constantly told myself, but every time on a weekly basis this proceeded to happen. The feeling of guilt and shame came upon me constantly saying to myself that how could I be allowing this to happen, but not until 25 years later that I realized that this was the beginning of a long run of using and abusing people that started to get what I wanted sexually, physically, and emotionally. Throughout high school, I began using alcohol and my anger grew. Most of the time, when I was in class or at social events I had to be the class clown, life of the party and top jock at my school. I had the attitude of I don’t give a care about anything and I will do whatever I want at any price. Alcohol was a way that I could escape the pressures of not using any other narcotics at the time… but what I didn’t realize was that issue with drugs was only a couple of years away. Well I went on to play college football along with tennis. Now going into the college lifestyle of partying drinking and what came about also was the use of marijuana. I began smoking pot and taking steroids, trying to once again be the top of everything. Well after 1 year of college and failing grades, I was introduced to methamphetamine. Now, I had found something else that would allow me to achieve higher gains than anything including meeting my x wife. We dated throughout my constant failures of nursing school, radiology school, and finally passing of physical therapy assistant school. By this time it was what I thought was right thing to do was to introduce my x to meth. This was one of the biggest mistakes I could have done. After a couple of more years of dating, I finally got married, but our partying days did not go away. What was a one to two time a month habit now began to turn into an every week ritual. 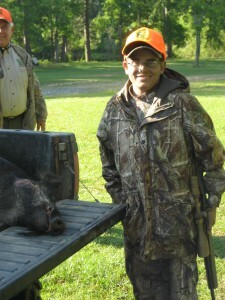 On July 17th, 1999 our first son was born and since I liked hunting, I named him HUNTER. Even though I had a beautiful simply precious gift of a son, my continued meth and cocaine usage kept on and on. There were times that I wanted God to work in my life but my addictive personality and obsession with money kept on. I had a very lucrative business in landscaping with 6 employees working for me along with practicing of physical therapy. Well do you think that with over $100,000.00 in earnings a year, a big house, 3 vehicles and a boat was enough for one person… WRONG. It wasn’t. When my son was 3 I was pulling around the backside of my yard while Hunter was riding on my landscaping trailer, something we did everyday daddy came home. At that time I was drinking a few beers and when I went to backup and maneuver my trailer in for the night, I felt like I had backed over a speed bump, but it wasn’t. It was my sons head. My daddy and brother just happened to be at the house that afternoon, and when this happened all hell broke loose. Ambulances, fire trucks, and medics were all over the scene. I will never forget bending down to lift his little head where he was bleeding from his eyes, nose, ears and mouth. I looked up and said, “Why God could you let this happen?”” WHY” ….. On the way to the hospital I could remember telling my brother that if Hunter dies, then so will I cause I would follow through on my attempts of suicide. Well Hunter made it through with only a fractured skull. I think that following 2 months I quit using, but it wasn’t long before them same old friends kept coming back that I was right back using and abusing more than ever. Then on October 21st, 2003 my daughter ASHLYN was born. I swore that I would never use again because I did not want my kids at a very young age to be submitted to such a screwed up daddy. Well that also didn’t last long and what I didn’t realize at the time was that my marriage which was once strong, was now falling apart. The insanity and paranoia became so prevalent in my marriage that it drove the both of us apart. When Ashlyn was 11 months old, the straw that broke the camel’s back happened and I got divorced. That is when I moved to Lafayette and my children moved to Brookhaven, MS. Now when this occurred I had just gotten out of using meth, but my drinking doubled in size, drinking much more hard liquor and partying again like a single man. Well what I didn’t realize at that time, because I wasn’t living my life for God and had not given my life to the LORD, was that God did not make this happen to me. It wasn’t until I was saved, clean, and able to think clearly that I realized, God is a loving God. It was the lifestyle I led before with all of the drugs, alcohol, manipulation and the using of women that God ALLOWED this to happen in my life in order to get me to where I am now. But even before I got saved and started dating the dream woman of my life, I was back using pain medication and trying to justify that what I was doing was the right thing now. Well this eventually caught up with me last year around September of 2008. Well as I was saying about the dream woman in my life, I had prayed to God this true prayer and it went something like this, “Lord if you hear me, I am tired of dating and running these blonde hair women, so what I need from you is to give me a black woman, a Creole woman, or a woman with black hair, just so it isn’t a blonde hair woman.. But most of all please make sure she is a Christian, because I need someone who can not only teach me, but love me and help me through these last 35 years of my life.” Well don’t we know that God answers prayers, and he did a month later? I was working at a local hospital and I saw this amazingly beautiful black haired woman, who for the first time I was intimidated by. So being the suavy man that I was I tried to play her but little did I know she knew what she was being firm and not playing games. She told me, I don’t date anyone I work with so deal with that. I said dammmmm I’ve done been shot down, not me Jason Bland, the one who could always get and manipulate anyone. Well 2 weeks later I saw her in the hallway again and I told her that I was leaving to go work somewhere else so could I take her out. To my surprise she said yes. So the next night we went to have a few, well a good many drinks on my part, and I decided to ask her if I could take her to church on Sunday and she said yes. So we went to church that Sunday at Trinity Bible church and when they started to play the music, this chic knew every word of every song. I looked at her and asked her, how in the world did she know the lyrics to each and every song, and she said I have been a Christian all of my life, but I too have also drifted away from God for certain reasons. My mouth dropped. Never in my life would I dream that God would have actually answered my prayers and he did. 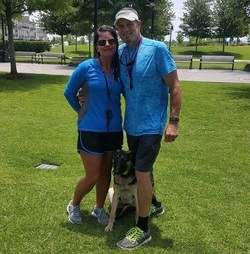 Black haired woman and a Christian….chichang….. Well throughout our beginning years of dating, I was still using pain meds for my back and amputated leg and it finally caught up with me in September of 2008. I asked a boss for help and finally after 35 years of a depressed / addictive lifestyle I voluntarily went to treatment in Mozzelle Missisissippi. And since then I have lived each minute, second, and hour for my Savior Jesus Christ!! I joined Celebrate Recovery at East Bayou Baptist Church and also became involved in a couple of different Christian settings, with a men’s bible study group along with working at least 8 months with the AA group also. I plugged myself into each and every thing that I could, using my old obsessive ways to now work strenuously at staying sober which I have. Now going on 36 months of sobriety, I do contribute my hard work and effort all to God. He also has allowed great people to come into my life on a weekly basis. As my bible study leader and a pastor friend of mine always says, if you want to become a bum in life then go hang out with bums. If you want to make money in life then go hang out with those who are making money, but if you want to get to know God more and more and watch the blessings he will pour out on you then hang out with Christ like people. I do want to say that even through all of this screwed up time in my life my parents have always stood by my side and just wanted to see me do something instead of having constant failures. They have truly shown what unconditional love is suppose to be like, just like the love that Jesus Christ has for us and I have to thank for that. During my rehabilitation I always said that if I had the chance, I would love to start an amputee support group in the Lafayette area and I also wanted get involved in taking underprivileged/ disabled people into the outdoors to teach them what I know. Well I did that successfully, but what I didn’t realize was the work the LORD was bringing fourth and implementing in me. The gift of loving and teaching others through my past hurts, hang ups, and mishaps. I now realize that this entire period of my life has always been God’s way of blessing, transforming, and molding me to be part of his flock. So now it is time to continue to do the work of the Lord and that is helping those, no matter what the situation is, to help them have what I have and that is TRUE HAPPINESS. That is what Trinity Outdoors Disabled Adventures, LA is about. Planting seeds in people’s lives through the use of the outdoors; to teach them how great GOD is and what joy can be brought into people’s lives if they surrender to HIM. Finally I want to state that in June 2010, my happiness with myself and sobriety allow me to communicate with my ex wife to a point that she moved to Lafayette area, now allowing me to see my children on a daily basis. If I would have doubted God’s power to work through me with the Holy Spirit, then none of this would have come into existence. Also the Trinity Outdoors Disabled Adventures, LA ministry would have not come into existence would not have occurred. So remember our God is a loving God and what we speak, we can either bring life or death. I hope this testimony brings life into each and every one of you or a love one that may need it. Hello my name is Brandy Dillon I was born February 11, 1980 in Houston Texas and I am a women of great faith. I am a Licensed Master Social Worker (LMSW) and have worked with survivors of domestic violence and sexual abuse, at risk populations and teen mothers, hospice patients and their families, and the mentally ill. I’m married to a wonderful man of great endurance and we have three children of great peace. Our worlds were dramatically altered in October of 2008. Three days after giving birth to our youngest I was rushed to the emergency room due to severe abdominal pain, numbness in my hip, feet and fingers, and feeling very groggy. The decision was made to perform exploratory surgery to make a diagnoses. I remember taking my contacts out of my eyes and kissing my husband and mother. I woke up about a week and a half later in ICU. During that time period all my organs began to shut down, I was placed on a ventilator, heavily medicated, and my family was told if I lived 24hours it would be a miracle! Family and loved ones prayed as medical staff did everything they could; my blood pressure spiked up and down and my body swelled beyond recognition. I got through the first 24hours then medical staff reported that the next 24 hours would determine the severity of the damage. I was diagnosed with Toxic Shock Syndrome caused by toxins in my blood stream–Strep B. This resulted in the loss of several limbs: both legs below the knee, the entire left hand, partial digits on the right hand, portions of both hips, and skin removal of the entire back to complete skin graphing of wounded areas. Ouch, is an understatement! BUT GOD, is faithful and will never leave or forsake his chosen. I must say I thank God I had a relationship with him before this happened because I couldn’t imagine enduring this without Him. I’ve been through several procedures, rehabilitation, prosthetic training, and am constantly adjusting to life on another level. This not only effected me, but also my family. We have had great struggles, many tears, and felt every feeling imaginable. Yet we are a family united and God has equipped us to overcome adversity. The baby was 6 months old when I was released to go home. I felt so inadequate, yet, I had/have family and friends praying and assisting my family. Well, God has allowed me to triumph over that tragedy because I have made miraculous strides within a year and a half. My rehabilitation has been phenomenal. I’ve mastered cooking, household cleaning, caring for the baby independently, driving, I’ve return to work force, workout at the gym, travel around and give my testimony in various settings to many denominations, offer support to other amputees, teach in ministry, and fulfill responsibilities of a wife and mother. If you would like to get in touch with me, you can reach me at the contact information below. My name is Joshua Carney. 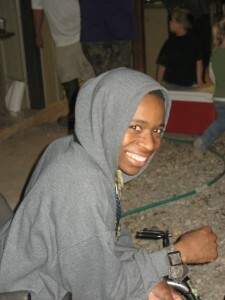 I am a young 19 year old African American male who has the ample opportunity of being a paraplegic. Some of my hobbies include competition archery tournaments, hunting of all sorts of game, fishing and anything that the Lord allows me to enjoy in the beautiful outdoors He created. Being wheelchair bound limits me to what I can do at times but it does not limit me in taking good risk or even trying. Since my accident everyone wanted me to get a crossbow and take as much advantage in being a paraplegic as I could, but I was not willing to take the easy way out. Today in some of my competition tournaments I choose to shoot a compound bow. Yes it is difficult for me to shoot a compound bow but I have found ways to do so because it is what I enjoy it the most. People try to tell me all the time what I can’t do because of my disability and I tell them,“WATCH ME DO IT.” If I can’t do it I’m going to try and I will accomplish it no matter what it takes or how long it takes. Throughout the last 6 years, I have been able to do many things so now in this time of my life it is time that I give back. Therefore I along with friend and brother in Christ, Jason Bland started Trinity Outdoors Disabled Adventures, LA. Trinity Outdoors Disabled Adventures, LA (Non Profit) has been formed as an outreach program from Acadiana Amputee Support Group. The vision of our group is to provide enough community involvement to see more people with disabilities “STEP OUT” away from the usual way of life, and “STEP INTO” a new way that can build confidence, provide spiritual uplifting, and have the opportunity to surround themselves with others who are experiencing the same challenges in life. Activities such as tennis, golfing, hunting, fishing, and canoeing, kayaking, camping, hiking, and summer camps will be organized to help bring our members together for memorable spiritual experiences of a lifetime. We have committee members from Baton Rouge, Lafayette, Mandeville, Lutcher, Lake Charles, Marksville, Monroe, and New Iberia, Louisiana. Each of these individuals also has a child, a relative, a friend, or is disabled themselves. We also have representatives who are also associated with the WOUNDED WARRIORS. OUR mission is to give back, share, encourage, and uplift ANYONE who may be dealing with or have dealt with disabilities. OUR TEAM is made up of GOD loving & sincere individuals who have a passion to uplift the principles our TEAM stands for. On August 9, 2013 Brandon went to be with the Lord. In Loving memory of Brandon, if he could reach 1 person with his testimony, this would be exactly what he wanted. I want to start by saying hello to everyone. My name is Brandon Boyd, I am 23 years old and an avid outdoorsmen. I like to fish, ride 4-wheelers, but most of all I like to hunt. I hunt squirrels, ducks, coyotes, hogs, but my favorite hunting is whitetail deer. Hunting for me is a fun escape from life and a wonderful of sharing the great outdoors that God created with family and friends. I was born on February 2, 1988 at 6 weeks old was diagnosed with Diamond Blackfan Anemia. This is a rare blood disorder where my body does not produce any red blood cells; therefore, I receive blood transfusions one a month. This causes me to be weak and very fatigue at times. During my life I have went through a lot. MY parents divorced when I was around 4 years old. My mother remarried when I was about eight, this was one of the best things that ever happened in my life. I have two brothers one my mom and stepdad had. After this, we all started going to the church where my mom and stepdad married. At the age of nine, I was saved at vacation bible school. At the end of the week, we had a program and they announced the name of us that had been saved that week. I was very happy this changed my life now that I knew Jesus as my lord and savior. When I was young, they said my life expectancy was the age of thirteen. However, as yell know from reading this I have I God has allowed to overcome that by 20 years now. I also learned around the age of 15 the importnce and power of prayer which is a very strong thing. I had port put in to reduce how much I had to sick myself to take a medication I was taking. The was rejected by my body making me very sick with infections, I was running a fever of 105.5 and could not eat and could not hardly wake up. The doctors did not think I was going to make it. They advised my mother to contact my family so she called my stepdad and grandparents. My aunt was also contacted at her school in Georgia. I knew I had friends and family praying. However, I later learned that my aunt’s school stops and prayed for these where all people I did not know later I was waking up and doing better. Now I pray every day. I live my life without fear and regret the reason for this my relationship with Jesus Christ. I am currently on a liver and bone marrow transplant list and I am not worried that much because I know with prayers and faith God can and will get you though anything he said he would not give us anything we cannot handle.